Park Yoo-chun, also known as Micky Yoo-chun or just Yoochun, is a well-known South Korean songwriter, singer and actor. Park Yoo-chun, also known as Micky Yoo-chun or just Yoochun, is a well-known South Korean songwriter, singer and actor who started his career as a teenager with the band TVXQ and SM Entertainment. The band got into a legal battle with SM Entertainment and went on to put together a new group called JYJ, named after its members Junsus, Yuchun and Jaejoong. The band has a number of international hits including their English album ‘The Beginning’. Park has done a few solos with various artists and has also performed as the host for the TVXQ Bigeastation radio show. 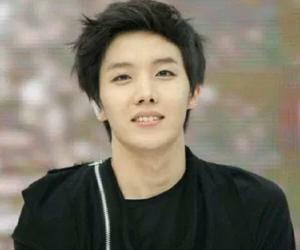 He is the main songwriter for his group and a few other South Korean artists. Park has a parallel career in films and television where he has appeared in a few movies and a number of drama serials including ‘Miss Ripley’ and ‘Rooftop Prince’. He has achieved what is referred to as a ‘South Korean Grand Slam’, which is winning an award on the three major television channels, SBS, MBC and KBS in the same year. 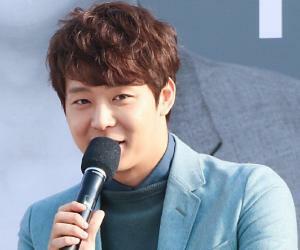 Park Yoo-chun was born in Seoul, South Korea, on June 4, 1986. He comes from a well to do business family and has a younger brother named Park Yu-hwan who also joined show business. He moved to the United States of America with his family when he was 12 years old and lived in Fairfax, Virginia. While in America he attended Holmes Middle School and later joined Chantilly High School. While he was in high school he won an award at an American Music Festival that was his first stepping stone into music as a profession. His parents divorced and Park returned to South Korea where he joined the five member male band that went by the name of Dong Bang Shin Ki. He graduated from Hanam High School in 2007 and went on to join Kyunghee Cyber University for his degree. His father passed away in 2012 due to prolonged illness leaving Park as the eldest male member of the family. In 2006, he was signed up as an artist by SM Entertainment and joined the famous K-pop group called TVXQ for which he played till 2009. Park and his band mates, Jaejoong and Junsu, fell out with SM Entertainment over their contract and went into a legal battle that lasted from 2009 to 2012. In the mean time they formed their new band named JUNSUS/ YUCHUN/ JAEJOONG (JYJ) in Japan. In 2010, JYJ came out with their debut extended play titled ‘The ....’ that hit the number one spot on the Japanese Oricon album charts. They followed this up with their international English album titled ‘The Beginning’. The album was promoted with a tour of the band that covered the United States, Southeast Asia and South Korea. The following year they released their Korean album ‘In Heaven’ and an extended play titled ‘Their Rooms, Our Story’. The band also toured North America, Europe and Asia to reach out to their fans. Park soon gained celebrity status and appeared in the television drama serial ‘Miss Ripley’, where he sang the song ‘The Empty Space for You’. He was also one of the rappers featured on the Super Junior’s third album titled ‘Sorry Sorry’. Park proved himself as a talented songwriter in his early career. He composed songs that featured on TVXQ’s Korean and Japanese most popular albums. He wrote the lyrics in English for his solo number ‘My Girlfriend’ and also for most of the songs played by JYJ. Park Yoo-chun has a parallel career in acting that started with minor roles in television serials while he was with TVXQ. His acting skills, coupled with his growing popularity as a singer, soon made him a star. He appeared in the Japanese drama serial ‘Beautiful Love’ followed by a role in the hit KBS drama titled ‘Sungkyunkwan Scandal’ which won him a number of awards. His acting career flourished with roles in ‘Miss Ripley’ and ‘Rooftop Prince’ that were aired on MBC and SBS networks respectively in 2010 and 2011. His talent gained recognition with the Most Popular Actor in TV Drama at the 48th Baeksang Arts Awards ceremony in 2012. 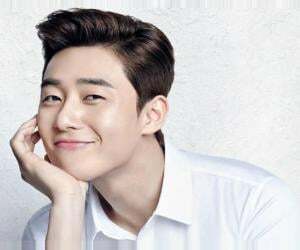 Besides television, he has also appeared in the Korean films titled ‘Dating on Earth’, ‘Haemoo’ and ‘Lucid Dreams’ where his acting has been appreciated by both fans and film critiques. His solo appearances include his numbers in the albums ‘Stars’ by DJ Makai and ‘I Loved..Have No Regret’ by Gummy. He also sung the number ‘How Much Love do You Have in Your Wallet’ for his first mini album and live concert. He appeared as the host for TVXQ Bigeastation radio show in 2007 and appeared on all the numbers of TVXQ and JYJ that are considered among the top ranking bands in South Korea and Japan. His hit television serials are ‘Sungkyunkwan Scandal’ (2010), ‘Miss Ripley’ (2011), ‘Rooftop Prince’ (2012), ‘Three Days’ (2013) and ‘The Girl Who Sees Smells’ (2015). He has appeared in the movies ‘Dating on Earth’ (2005), ‘Haemoo’ (2014) and ‘Lucid Dream’ (2017). As a teenager he won the Best Artist of the Competition Award at the American Singing Competition in Virginia in 2001 and Special Award at the KBN Teen Singing Competition in 2003. For his performance in ‘Sungkyunkwan Scandal’, he won the Best New Actor, Netizen Award and Best Couple Award (with Park Min-young) at the KBS Drama Awards (2010); Best New Actor (TV) and Most Popular Actor (TV) at the 47th Baeksang Arts Awards (2011) and People’s Choice Award (Korea) and Outstanding Korean Actor at the 6th Seoul International Drama Awards (2011). His acting in ‘Miss Ripley’ was recognised by the Best New Actor Award at the MBC Drama Awards (2011) and Most Popular Actor (TV) at the 48th Baeksang Arts Awards (2012). For his role in ‘Rooftop Prince’ he was awarded the People’s Choice Award (Korea) and Outstanding Korean Actor at the 7th Seoul International Drama Awards (2012) and Excellence Award (Actor in a Drama Special), Netizen Popularity Award, Top 10 Stars Award and Best Couple (with Han Ji-min) at the SBS Drama Awards (2012). For ‘Missing You’ he was awarded the Excellence Award (Actor in a Miniseries) at the MBC Drama Awards (2012) and Most Popular Actor (TV) at the 49th Baeksang Arts Awards (2013). For his performance in ‘Haemoo’ he was awarded the Best Actor Award at the 34th Korean Association of Film Critiques Awards, 51st Grand Bell Awards, 4th SACF Beautiful Artists Awards and 35th Blue Dragon Film Awards in 2014. He also won the Popular Star Award at the Star Night Showbiz Awards for his role in the film. He won the Top Excellence Award and Top 10 Stars Award at the SBS Drama Awards for his role in ‘Three Days’. For ‘The Girl Who Sees Smells’, he was awarded the Top Excellence Award at the 8th Korean Drama Awards and Top 10 Stars Award at the SBS Drama Awards in 2015. 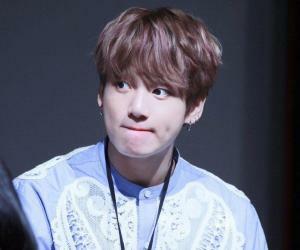 In 2016, while Park was doing his compulsory military service, he was charged with a number of cases of sexual assault that later proved to be false. His agency sued for defamation and blackmail as a result of which the defendants were sentenced to prison terms. One of the defendants has appealed for a public trial which is awaiting confirmation from the court. He has been dating Hwang Ha-na, who belongs to the family that owns Nanyang Dairy Products, and intends to get married to her. There have also been some rumours about their break-up as Hwang was finding it difficult to deal with adverse publicity of their affair in social media.